Tonight it’s the first of two at Quicken Loans Arena for the Cavaliers as they take on the Utah Jazz, and Saturday night they welcome in the New Orleans Pelicans. The Jazz enter action tonight with a mark of 18-20, four in the Northwest Division of the NBA out West. They are led by Donovan Mitchell, who is putting up 20.4 points per game. Center Rudy Gobert is doing a good job on the boards for Utah, as he’s averaging 12.4 rebounds per night. Utah is coming off a 122-116 loss at Toronto on New Year’s Day, a game in which they allowed 45 points to Kawhi Leonard. Former Cavalier forward Jae Crowder had a big night in the loss, as he scored 30 points, and is averaging 12.4 points per game. This is the second of four straight road affairs for the Jazz, who will travel to Detroit to play the Pistons on Saturday before wrapping up the trip with a game in Milwaukee on Monday night. The Cavs and Jazz will see each other again soon, as the two teams will play in Utah on January 18th during the Cavs west coast swing to start 2019. The Cavs have had great home success against the Jazz, winning each of the last six games at home against the Jazz, their second-longest active home winning streak against a single opponent. The Cavs have lost a season-high seven straight games, this after a bad loss Wednesday night at home against the Miami Heat. In the seven straight setbacks for the Cavs, they have struggled on both ends of the court, allowing 112.7 points per game, scoring just 97.4 points. “We’ve got to be grimy as far as our style of play,” Cavs coach Larry Drew said following the loss on Wednesday against the Heat. 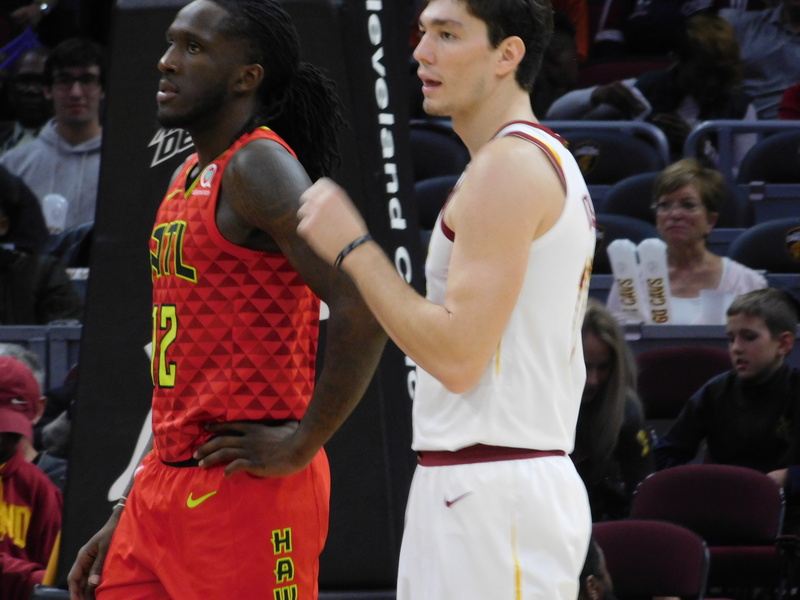 One positive for the Cavs in the loss on Wednesday was the return of two players that should help as things move along this month, as both Tristian Thompson and Rodney Hood both were back on the court. Thompson was back after a 10-game absence due to a sprained left foot. He had 14 points in 23 minutes. Hood had an Achilles injury, and in 23 minutes he scored 13 points. One other thing to watch tonight is the Cleveland return of Kyle Korver, who played a pair of seasons with the Cavs while they made the NBA Finals in two losses to the Golden State Warriors.